According to the Office of the Chief Medical Examiner for Washington, D.C., it has still not determined a cause of death for Shawn Lucas, the 38-year old process server who delivered the class action lawsuit against the Democratic National Committee and its then Chair, Debbie Wasserman Schultz, to the DNC headquarters on July 1. One month later, the girlfriend of Lucas came home to find him dead on the bathroom floor. 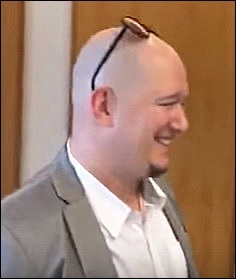 A video of the service of process, which has garnered over 474,000 views as of this morning, shows Shawn Lucas saying he was “excited” and “thrilled” to be the process server on this lawsuit. He comments later in the video that it is like his “birthday and Christmas” rolled into one. Then on Friday, July 22, 2016 at 10:30 a.m., just as the DNC was set to open its National Convention the following Monday, Wikileaks released 19,252 emails and 8,034 attached documents that had been sent by top DNC officials. The emails left no doubt that there had been a concerted campaign to undermine Sanders while boosting Clinton’s chances to win the primary. Wasserman Schultz had to announce she was stepping down before the DNC convention even began to quiet the outrage. The lawsuit (Wilding et al v DNC Services Corporation and Deborah ‘Debbie’ Wasserman Schultz) was filed in the Federal District Court for the Southern District of Florida. The Case Number is 16-cv-61511-WJZ. The complaint makes the following charges: fraud, negligent misrepresentation, deceptive conduct, unjust enrichment, breach of fiduciary duty, and negligence.